We deliver the products that customers can't easily take away from the store, offering careful assistance with delivering to the room of choice, and unpacking their new purchases. You’re more than a delivery person, you’re the face of Dunelm. Working for the Home Delivery Network places you at the heart of the Dunelm operation, delivering household furniture into customer's homes. We provide what’s known as a ‘white glove’ service, which means the very highest level of customer care, so you’ll always be part of a two-person team. You'll need to combine practical driving skills with a real focus on the customer. 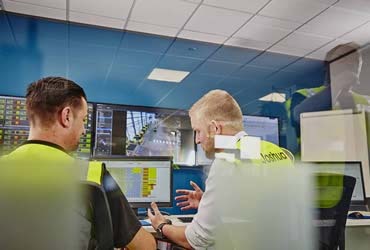 Working out of one of our depots in Bristol, Barnsley, Dartford, Stoke or Northampton, you’ll have plenty of support with route planning and vehicle maintenance, to ensure you can provide an unhurried, five-star service. Please note, a full driving licence is essential. Haven't found the right role for you? Register now. Register Not sure where you fit? 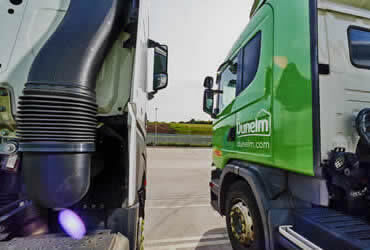 Dunelm’s Home Delivery service is provided by their own fleet of vehicles, making deliveries every day. As part of a 2 person crew, hear how Kevin enjoys seeing different parts of the country every day, whilst getting great satisfaction delivering a great customer service. Follow the on-screen instructions and, when you’re happy with your form, press submit. We look through the information to assess how suitable you are for the role. We’ll get back to you as soon as we can. If you pass initial screening, we’ll invite you to an assessment centre where you’ll meet us and other applicants. On the day you’ll take part in a few simple exercises that help you show off your skills and decide if the role is right for you. Within a week, we’ll give you feedback on your performance and, with any luck, we’ll offer you a job! 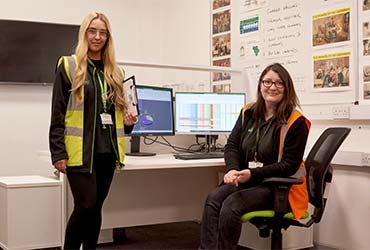 The highlight of my career so far with Dunelm is to become a Colleague Council representative, which enables me to develop ideas and best practices to help the depot and the drivers.